20&2 Member Card. GREAT RATES, PLUS TWO WEEKS OF FREE GOLF! Get $20 Green Fees Monday through Thursday. Get $25 Green Fees Friday through Sunday. Plus TWO FREE WEEKS! March 18th through 24th and October 21st through the 27th. 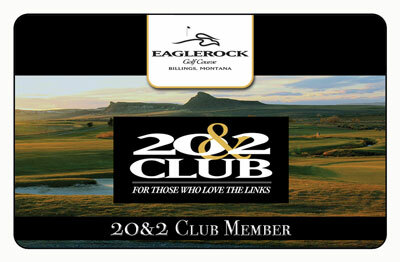 Call the pro shop at 406-655-4445 for more information.